Imagine a place where you can climb 'sleeping' mountains, canoe across crater lakes, hike up active volcanoes and ancient cinder cones, explore deep caves and twisting canyons, and ride horses through tropical waters. 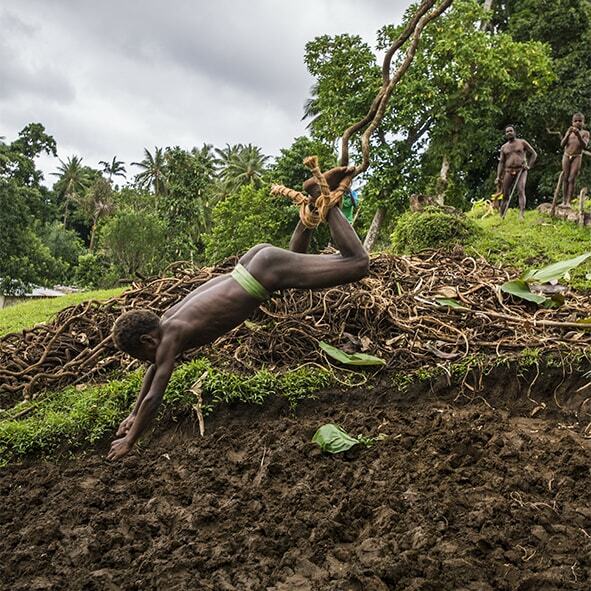 When you wake up in Vanuatu all this and more is possible. Experience the adventure of a lifetime with Santo Travel. 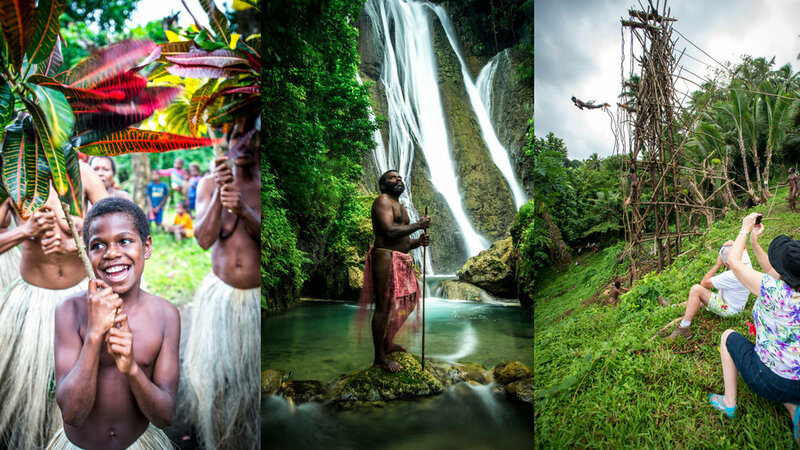 We have selected the top 6 adventure tours in the Northern Islands of Vanuatu to add to your 2018 travel bucket list! With direct flights from Brisbane and connecting flights from Sydney, Noumea and Auckland, Vanuatu should definitely be next on your adventure holiday itinerary. Hiking up Mount Garet Volcano could well be one of the most rewarding challenges you'll ever experience. Imagine views of crystal lakes, white sand beaches and and an active volcano spewing sulphur and ash. Hiking, canoeing, and active volcanoes – this trek has it all! You'll have the option to walk for one, two or three days through some of the most beautiful and remote parts of the country. But beware, this is a challenging trek - even walking at a more leisurely pace, and it is recommended that it be undertaken by those who have a high level of fitness and experience hiking in similar (tropical) conditions. Looking for the most envy-inducing profile pic around? Look no further than this horse riding tour through the pristine landscape of Espiritu Santo. From crossing crystal clear, freshwater rivers, to trekking along white sandy beaches, Santo Horse Adventures will no doubt be the highlight of your trip. You'll even get the option to swim with your horse in the aqua blue waters of Lope Lope Beach. Pass through mangrove forests, coconut plantations and traditional villages of the friendliest, happiest people on Earth. Don't miss out on this top adventure tour in Santo! At 120 metres tall, you do not want to miss out on seeing the sheer magnitude of power behind this mystical waterfall. 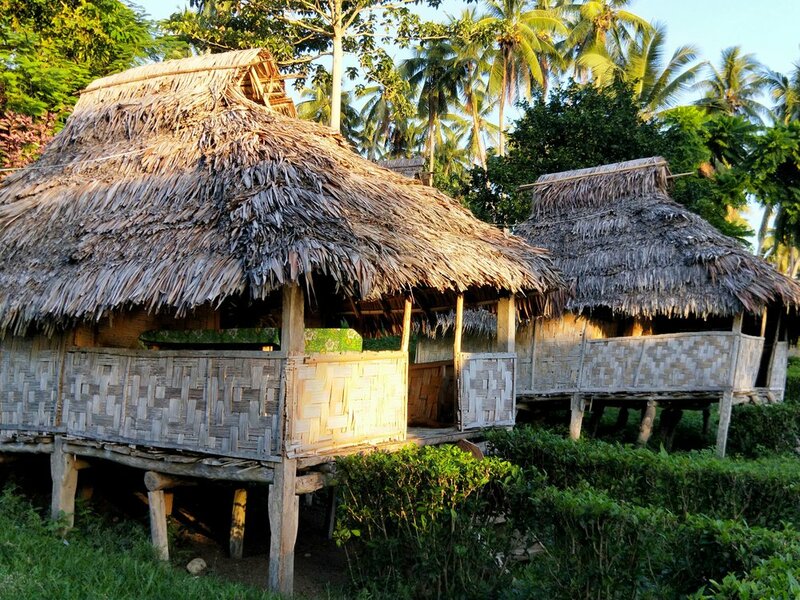 This 8 hour return trek will take you through local gardens, coconut plantations, alongside rivers, over wooden bridges and along a man-made jungle path. With our expert local guides there to fill you in on all the knowledge of the jungle, you won't feel a deeper connection with nature anywhere else in the world. We recommend a high level of fitness for this trek and experience hiking in similar (tropical) conditions. This full day tour will not leave you disappointed. You'll get to experience an off-road drive through the jungle of Santo, a guided tour through two remote villages, trekking along a man-made path as well as bamboo bridges and ladders. You'll be painted with traditional clay to ensure your safe passage through the river and cave. You'll see nesting swallows and bats by torchlight and canyon over large boulders and rocks. You'll also get to enjoy a relaxing river ride down the jungle enclosed Sarakata river. 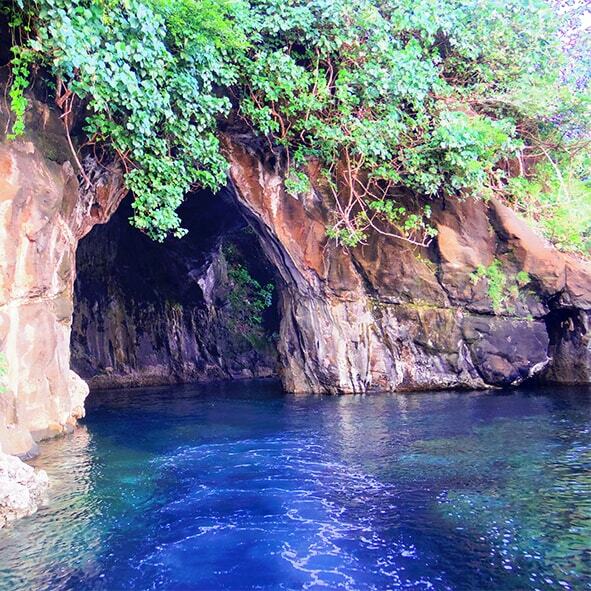 Jump off surrounding rock platforms and swim through overhanging waterfalls along the way. This 2.5 hour tour is operated by local guides who'll lead you on the hike. You'll pass through numerous villages where curious children will join you along the way, giving you the opportunity to see daily village life and meet some of the locals. You'll trek along the coast of Motalava’s white sandy beaches fringed with coconut trees and see nearby Rah and Vanualava Island. During the hike, your guide will point out different native plants and explain their medical or kastom uses. There are lookouts and stops along the way where you'll also get to hear stories about the history of Motalava and the legend of Sleeping Mountain.